Lost Marbles is our attempt to bring elements from the classics Marble Madness and The Lost Vikings together in a new 3D experience! You'll start with one marble but before you know it you'll be controlling three marbles at once as the game goes from fairly simply platformer to frantic puzzle game. Each marble has a different material and special power; Rubber can Jump, Paper can Shrink, and Metal can Boost. You'll have to combine the strengths of each marble to overcome a multitude of hazards as you race to the end of each level in search of the fastest time. The game is very challenging so don't be fooled by the cute graphics and atmosphere! Turba provides a gameplay experience unlike any you have encountered before. Load in music from your PC and combo blocks to your favorite tunes in this unique new twist on the “match-3” style game! 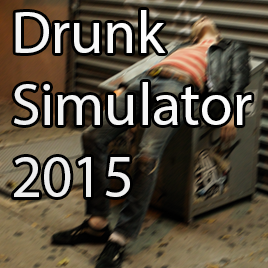 Drunk Simulator 2015 is a cautionary tale. Carl just got thrown out of a bar and needs to figure out where to go next. Can you help him? Great comedy is the most important thing to the people of Droon. The Great Catsby is loved by nearly everyone; his unique style of comedy is so commanding it even sways public opinion. Some villagers have gone as far as inventing a game called “fool”, where you must best your opponent with the wittiest jokes. Take control of Janice Hoplin and make your way up the comedy ladder. Lie, bribe or joke your way to the top! 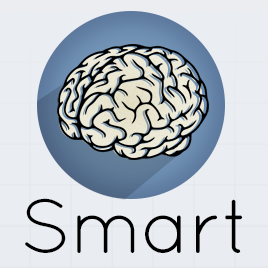 Smart is a puzzle game that attempts to gamifiy the concept of flash cards. We want to blend games and education to get people learning and thinking again!